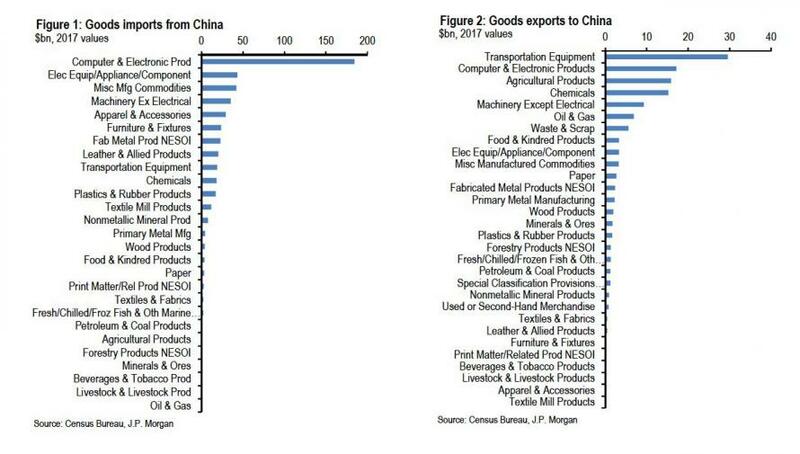 As the WSJ previewed two days ago, China's retaliation to Trump's $50BN in tariffs was virtually instant, and while modest - at only $3 billion for now - based on the 128 product categories revealed by the Chinese commerce ministry, Beijing is clearly targeting the Trump agricultural base and manufacturers in swing states. In other words, Xi is sending a clear message: Stop provoking, or it will get worse. "China’s response is surprisingly modest in light of the U.S. actions, suggesting there could be a good deal more to come," Stephen Roach, told Bloomberg. "As America’s third largest and most rapidly growing export market and as the largest foreign owner of Treasuries, China has considerably more leverage over the U.S. than Washington politicians care to admit." To be sure, economists have said that the impact of the tariffs announced until now may be quite limited. 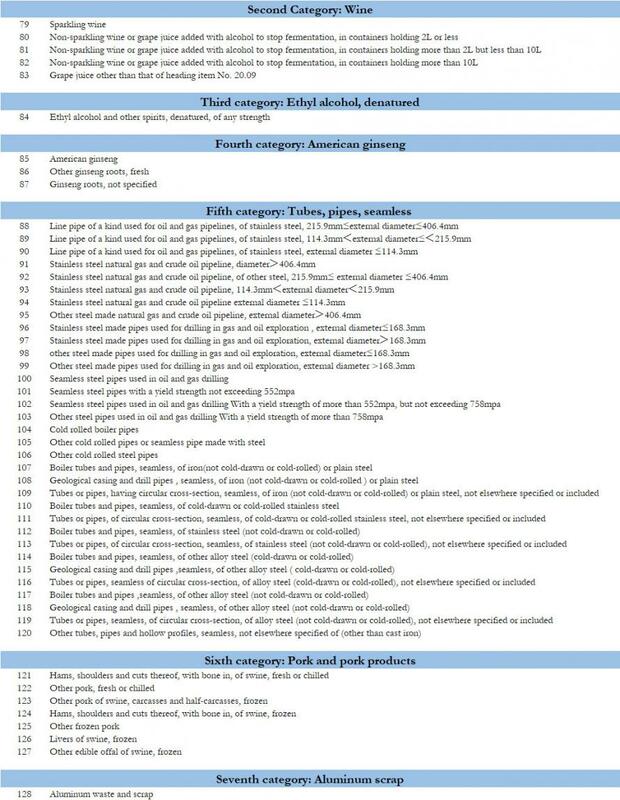 If the U.S. imposes a 25% duty on $50 billion of imported goods, the additional $12.5 billion tariff is equivalent to an additional 2.9 percent charge on all of China’s exports, according to JPMorgan economists led by Haibin Zhu in Hong Kong. However, JPM also cautioned that there may be some confusion here, and whether the Trump administration plans to impose tariffs on 50 billion in Chinese imports, or aims to raise $50 billion in revenue (roughtly 10% of annual Chinese imports). If it's the latter case, US tariffs would apply to $200BN, or a whopping 40% of Chinese imports. For now however, and just hours after the US announced 25% duties on targeted Chinese products including items in aerospace, information and communication technology and machinery (the full proposed list will come in the next “several days,” according to the Trade Rep fact sheet), China was out with a list of 128 products split into seven groups and including U.S. pork, recycled aluminum, steel pipes, fruit and wine. Specifically, the ministry said it was considering implementing measures in two stages: first, a 15% tariff on 120 products including steel pipes, dried fruit and wine, and later, a 25% tariff on pork and recycled aluminum. 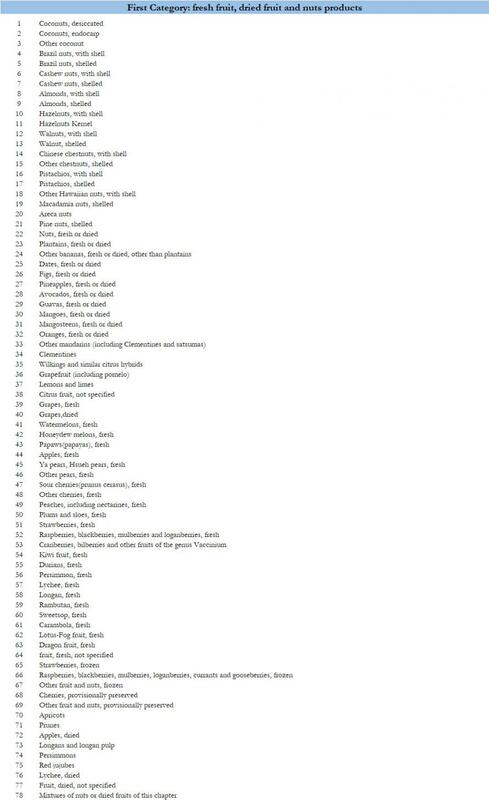 Beijing further explained that if China and the U.S. can’t reach an agreement on steel and aluminum trade, after a public consultation period which ends March 31, Beijing would begin collecting tariffs of 15% on imports worth $977 million, including fresh fruit, nuts, wines, denatured alcohol, ginseng, and seamless steel tubes. China could then implement additional tariffs of 25% on around $2 billion worth of product imports, including pork and aluminum.